Aigner X Limited will be your perfect style inspiring and charming. Aigner X Limited 125ml. Eau De Toilette has been created for all modern people who like to indicate new trends are extravagant and distinctive in style and stalking to ever new direction. Refreshing fruity perfume-X Limited excels softener floral - spicy dials and a light touch of wood flavor. The first time you sniffing appeal particularly juicy tangerine in a playful combination of energy charged lemon, seductively bitter grapefruit and bergamot intoxicating. On the specific uniqueness then supplies toilet water Aigner X-Limited at the beginning of the hidden ingredient river rock. The heart of the perfume then opens an aromatic cypress, delicate violet, galbanum and subtle nutmeg in conjunction with watermelon and black currant. The whole is then seated in a loving embrace scent of rosemary, which flows into the sensual notes of sandalwood, musk and tonka bean underlying unique perfume Aigner X-Limited. Prolonged, unobtrusive scent of eau de toilette X-Limited is suitable for everyday use and certify you at any occasion. 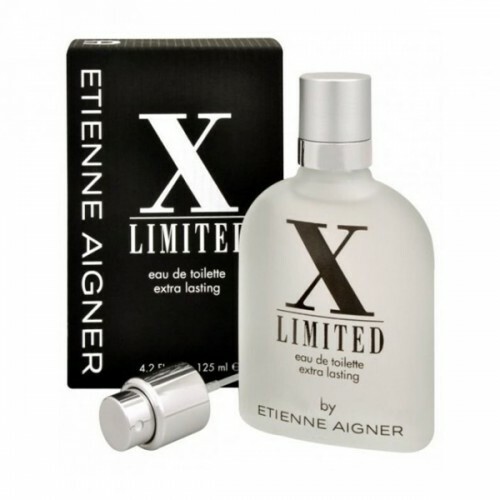 The perfume Aigner X-Limited will be your perfect style inspiring and charming with its original scent you'll always guaranteed success both in the company of friends, so when working meeting.